This child should be fastened in the back seat. If they got any closwer to traffic this wopuld be very dangerous. The man in the car was very courageous and caring to get his car hit and save this family. That is so brave of her to just take the wheel in a time of need. She could have just not of done anything but I am glad she did. Abby did a very brave act and steered her car when her mother fell unconscious while driving, and officer Hamilton is being honored because he helped Abby stop the car and kept her calm. Abby is a very smart little girl. Not many adults would know what to do in that situation. I'm very fascinated that Abby knew what to do in that situation. I think she is a very brave little girl for not crying during any of this. Abby deserves to be honored. Abby and Officer Hamilton are being honored because a child took the wheel and was trying to save her mom. Officer Hamilton is being honored because he helped the little girl stop the car before she got into a car accident.I think that is inspiring. wooow she is amazing !!! i cant even do that and she is younger than me !!!! i cant believe that !! 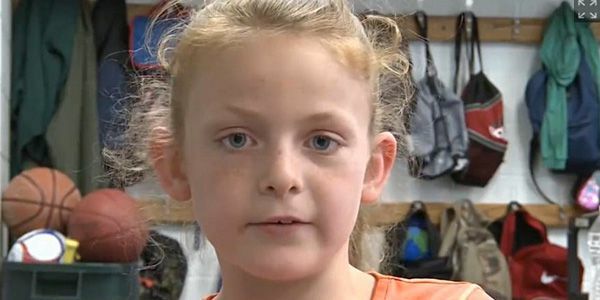 she is awsome cause she saved her moms live cause she was driving to her house to tell her dad about her mom . and her dad is awsome to cause he showed her how to drive a lawn mower that is lile a car !! she has a good family !! Abby is being rewarded because of her bravery at the wheel. But the officer is rewarded because of him helping her. They both deserve a reward for bravery. In summary, an 8 year old girl saved both her mother and herself. When Abby Porter's mom fell asleep at the wheel on the way to school, Abby took control of the car. A police officer helped Abby stop the car. She is being presented with an award for her actions. I think this is really cool. I would not have done that if I was in that situation. 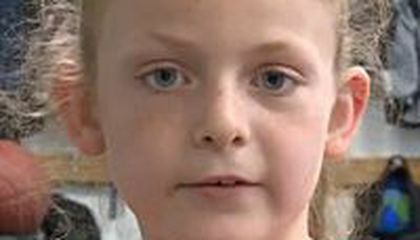 A second grader named Abby was being driven to school by her mom, Shelly when she suddenly passed out unconscious at the wheel. Abby, having steered a tractor before with her dad, knew what she had to do. She quickly took to the wheel, driving back to her house. An officer noticed the car driving at 20 mph and thought someone was DUI. He noticed Abby pulling up and told her to stop and so she had to bump into his car to slow down because she didn't know how to stop. I think this shows great courage, especially for a child this young. She used her knowledge of the road to drive the car in what would be a frightening situation for anyone, let alone an 8-year-old!